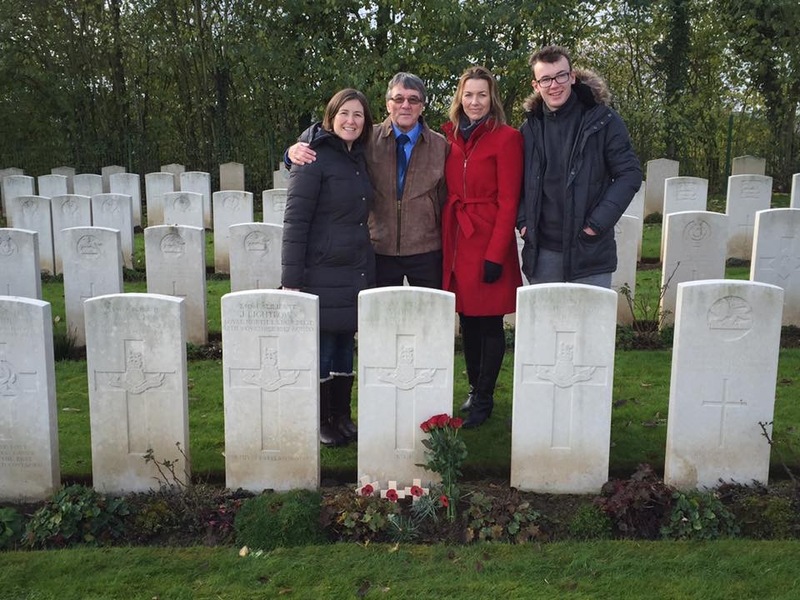 Visiting his Grandfather’s grave David Odlum went to remember Private William Dixon on the 100 years Anniversary of his death and to celebrate his contribution to World War 1, 1914 – 1918. This picture of William with David’s Grandmother and with Rose, David’s mother as a young girl. Finally, a moving letter from William Dixon to his wife Mary, and daughters Alice and Rosie, written in the few days before he was killed in action. 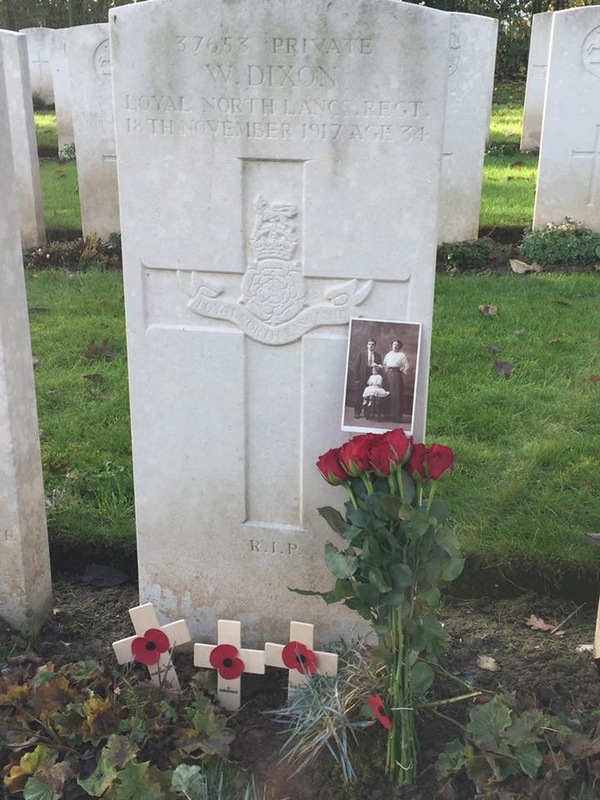 The reason that David wanted to make this blog was to help to keep Pte William Dixon’s memory alive for ever in digital form which, we believe, will be accessible for generations to come. David and the family had together spent many hours researching William Dixon’s life and service history. With the addition of the detail help that came from the Lancashire Infantry Museum it made the visit to William’s Grave more informative. I was very interested to read your blog remembering your grandfather William Dixon.I share your feelings that the very brave men who have gone through wars, for our freedom, should never be forgotten. My Grandfather Private Leo Baron,Lancashire Fusiliers,was also killed at Paschendale and buried in Tyne Cot ,Belgium.age 31yrs.I am at the beginning of discovering as much as I can and hope that I might be as successful as yourself. I don’t know whether it was the same for you but my parents didn’t talk about the war so much though my father was in Burma for 4years or so.I think they just wanted to forget the horrors of war. What caught my eye about your story was that my name is Dixon and i know that two relatives of mine where also killed in the second world war.William and Joseph Dixon.Unfortunately that is all i know,and that like my family were from Great Harwood. Well David you have spurred me on to find out more,so thank you for sharing your story.